The game is afoot! After giving fans a teaser trailer at Comic-Con this summer, PBS has released a full trailer for the upcoming special episode of Sherlock. Though much about the episode is, like much of Sherlock, shrouded in mystery, the trailer does reveal the regular cast (John Watson, Mary Watson, Mrs. Hudson, and Sherlock himself) will be back for another adventure, with a couple of key differences. 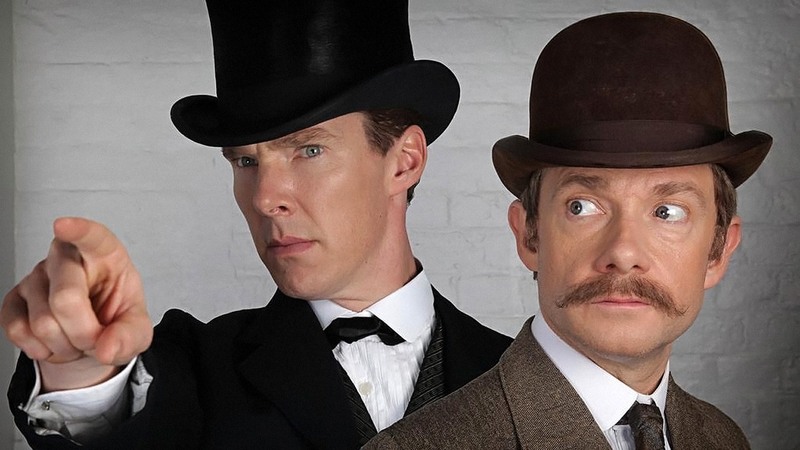 First, if the mustaches and deerstalker hat weren’t enough of a clue, the entire episode will be set in the original era of Sir Arthur Conan Doyle’s series—the late 19th century. Other than that, very little else is revealed beyond some flashy visuals and cryptic dialogue. Secondly, this is just a one-off special. There’s no official airdate listed yet, for either the PBS premiere or the BBC premiere (though, it’s rumored the special will air on Christmas for BBC viewers). But the 90-minute episode will be independent of the upcoming fourth season. According to series producer Rebecca Eaton, season four will maintain the typical three-episode run and begin production sometime in spring. What do you think? Are you excited for a new Sherlock episode? Do you like the idea of a period piece? More about: PBS TV shows: canceled or renewed?, Sherlock, Sherlock: canceled or renewed? Very excited and yes, we love anything Sherlock. Long overdue. Thank you.